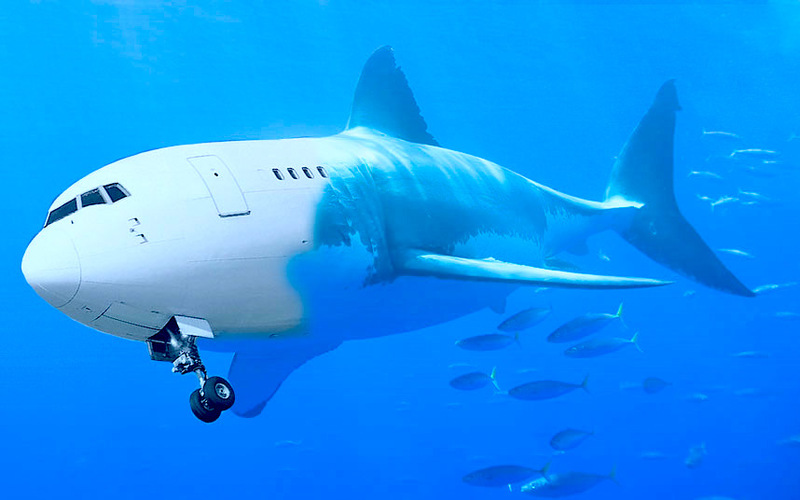 This entry was posted in Random and tagged Jaws, PhD, plane crashes, planes, probability, pun, puns, research, shark attacks, Sharks, statistics by semanticmarmot. Bookmark the permalink. Thank you 😀 There are so many shark-heads grafted onto planes I thought I would reverse the tables a bit. Okay so now I feel more prepared for a shark attack… or not!